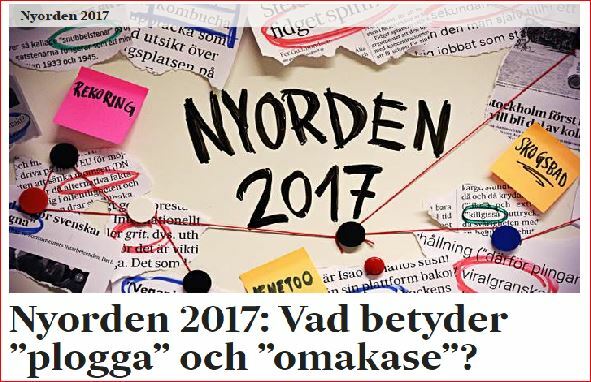 The Swedish Language Council has announced the word of the year – or rather 38 words of the year - for 2017. Fake news, dabbing, and #metoo are just some of the words that made the cut. Radio Sweden spoke with Anders Svensson from Språktidningen, the Language Magazine, which partners with the Swedish Language Council to come up with the list every year. He said that many of this year’s words were taken from English. “There is a debate in Sweden every now and then that English is a threat and that English is growing at the expense of Swedish,” Svensson said.